The Kaddish prayer is one of the most important prayers in Judaism, rivaled only in signifance by the Shema and Amidah prayers. Written primarily in Aramaic, the Kaddish focuses on the sanctification and glorification of God's name. "Kaddish" means "holy" in Aramaic. 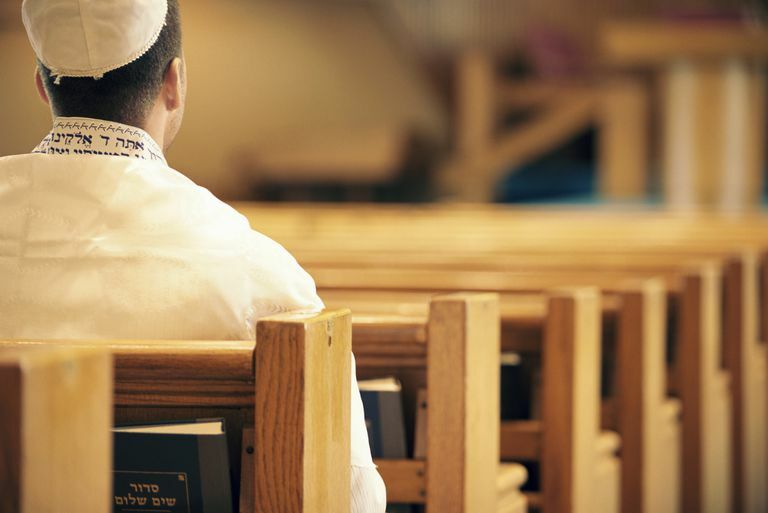 There are several versions of the Kaddish that are used as dividers between different portions of the prayer services or for specific liturgical purposes (such as the Mourner's Kaddish). Kaddish is only recited aloud if there is a minyan (10 Jewish adults in the Conservative and more liberal movements, or in the Orthodox movement 10 adult Jewish men) present at a service. There are minor differences in the Kaddish between the Ashkenazi and Sephardi traditions, as well as within the different movements of Judaism. The actual text of each Kaddish will vary slightly, with additional verses being added to each version of the prayer. The only version of the Kaddish that does not change is the Chatzi Kaddish. All versions of the prayer, other than the Chatzi Kaddish, will include a prayer for peace and a good life. During the morning service (Shacharit) Chatzi Kaddish is recited by the prayer leader (usually the rabbi or cantor) after the P'Sukei D'Zimra section of the service, after the Amidah prayer, and after the Torah service as a means of demarcating different sections of the service. During the afternoon and evening services it is recited before the Amidah. All versions of the prayer include the Chatzi Kaddish. Kaddish Shalem is recited by the rabbi or prayer leader alone after the Amidah in each prayer service. In addition to the Chatzi Kaddish, Kaddish Shalem contains a verse requesting that God accept the prayers of all of the people of Israel. It is for this reason that the Kaddish Shalem follows the Amidah, the prayer during which Jews traditionally make supplications before God. Mourner's Kaddish is recited by mourners of close relatives (parents, siblings, and children) after the Aleinu prayer at each service during the first year after the burial of a close relative, then at every anniversary of their death, and at memorial services held four times a year called Yizkor. As a mourner's prayer, it is unusual in that it does not mention death or dying. Kaddish is an affirmation of the holiness of God and the wonder of life. The rabbis who shaped this prayer hundreds of years ago recognized that in grief we need to be reminded constantly of the wonder of the universe and the amazing gifts God has granted so that we can once again return to a good life after our mourning comes to an end. Kaddish d'Rabbanan is recited at the completion of communal Torah study and in some communities by mourners during certain points of the prayer service. It includes a prayer for blessings (peace, long life, etc.) for the rabbis, their students, and all those who engage in religious study. The Burial Kaddish is recited after a burial and also when one completes the study of a full tractate of Talmud. It is the only form of the Kaddish that actually mentions death. The additional text added to this version of the prayer includes praise for God for the acts that will be performed in the messianic future, such as restoring life to the dead, rebuilding Jerusalem, and establishing the kingdom of heaven on earth.